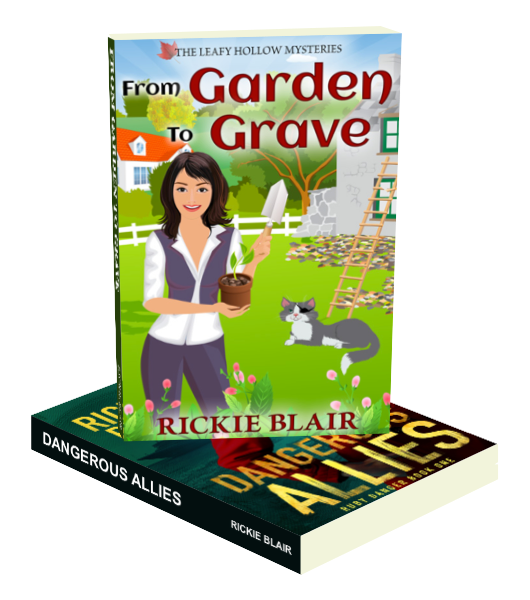 To get your free copies of From Garden To Grave AND Dangerous Allies, you just need to tell me where to send them. A shocking revelation. A long-buried secret. 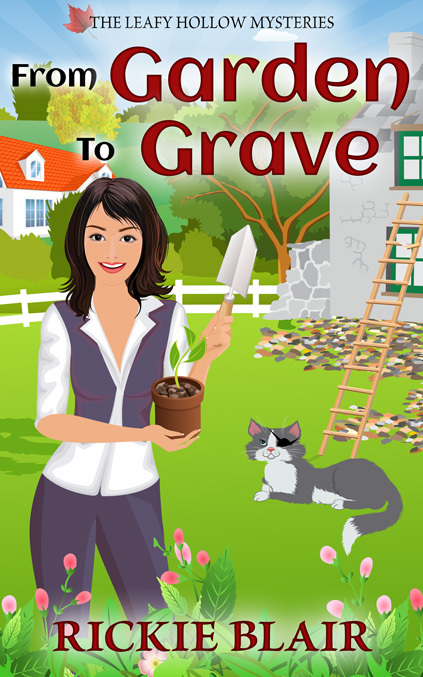 An old mystery laid bare..
Verity Hawkes’ new life as Leafy Hollow’s resident landscaper and part-time sleuth is just about perfect. 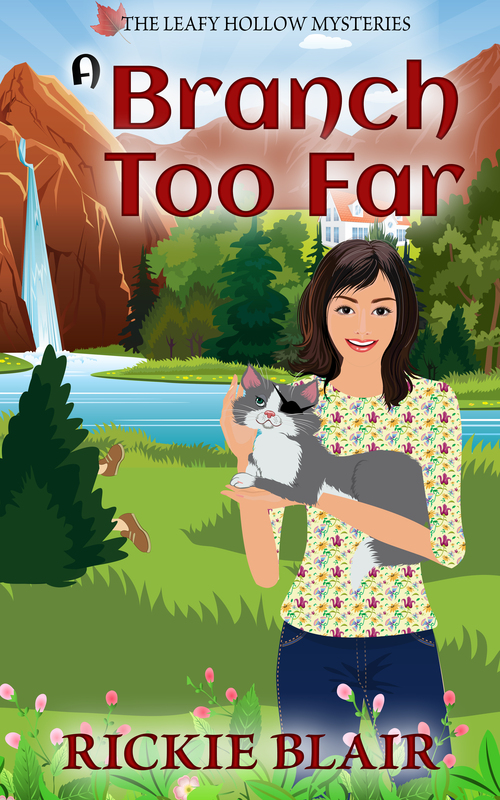 She has a new love interest, a new home–even a new dog. The last thing she needs is a reminder of her troubled past. So when her estranged father shows up with a plea for help, her first instinct is to throw the cad out. Until he reveals troubling new details about her beloved mother, who’s been dead for years. To tackle a twenty-year-old puzzle, Verity must face down a surly detective, a bungling electronic aide, and a lethal paper shredder. But when the trail leads to murder, she becomes the prime suspect. To clear her name, Verity must solve the most baffling mystery she’s ever faced–one from her own past. 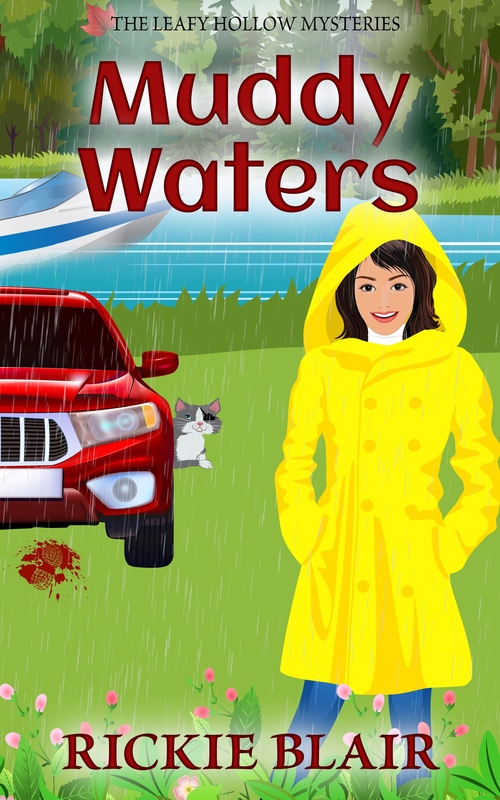 Can Verity curb a deadly crossword craze before the killer makes it two down? As she investigates a shady, million-dollar crossword competition, even her detective boyfriend sides with her neighbors in thinking it’s legit. 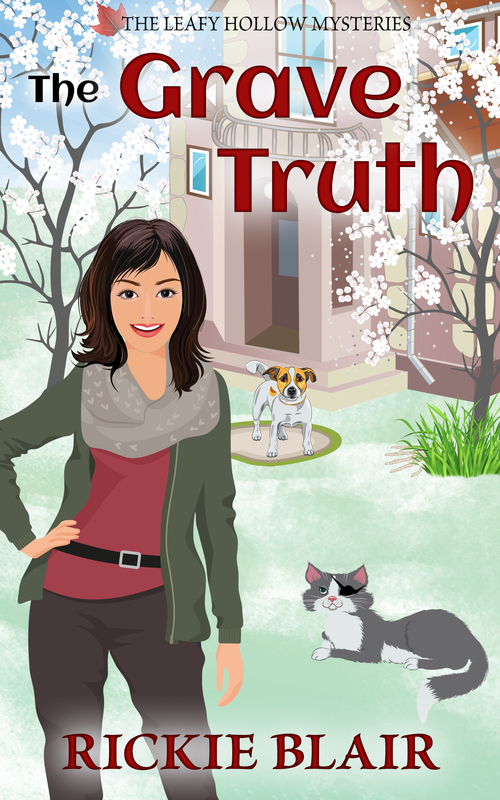 But when the contest seems to connect with scruffy dog walkers and a missing investment advisor, Verity hopes she can solve the clues before the whole town descends into a scammy word-smithing frenzy. 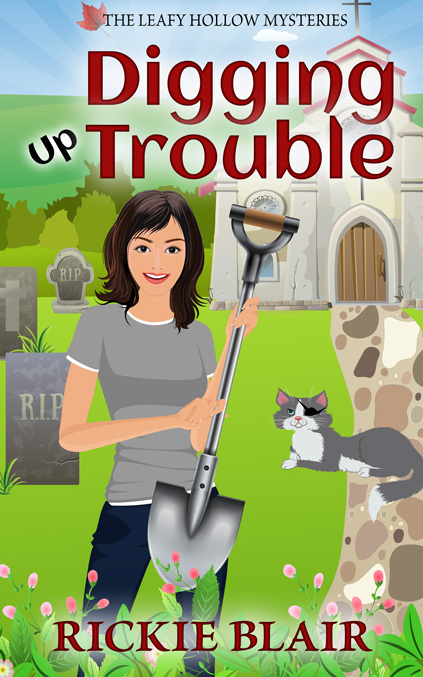 Between vegan food scandals and a village hoarder biting the dust, the landscaper-turned-PI has her hands full. Potential clues come in as fast as the suspects: a documentary film director, a wacky artist, and a feral–cat enthusiast, to name a few. It turns out everyone in town has skeletons in their closet… even her new friends. If Verity doesn’t find out the truth soon, then the next local legend buried in the ground… could be her. If you like fast-paced action, believable heroines, and breathtaking twists, then you’ll love this series of gripping financial thrillers. Ruby Delaney is at the bottom of a spiral. After the death of her sister, the young actress turned to pills and booze to numb the pain. Desperate to reconnect with her husband and get her life back on track, they take a luxurious second honeymoon cruise. Everything is going well, until she makes a surprising discovery in their cabin: $20 million in bonds! 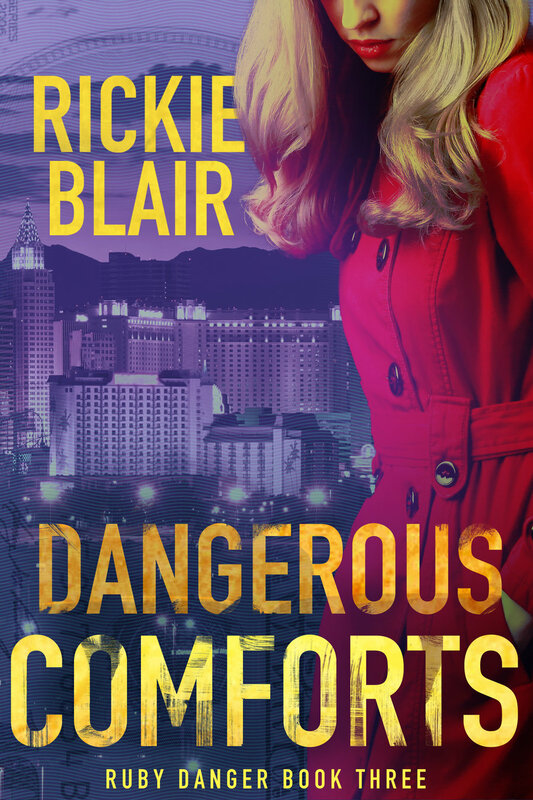 Ruby knows stock fraud when she sees it, and it reeks of the Russian mafia. When she’s set up for a crime she didn’t commit, her only chance is a series of impossible escapes to clear her name. With the help of a few surprise allies, and a bit of luck, Ruby might just have a shot… if she can live long enough to solve the mystery. 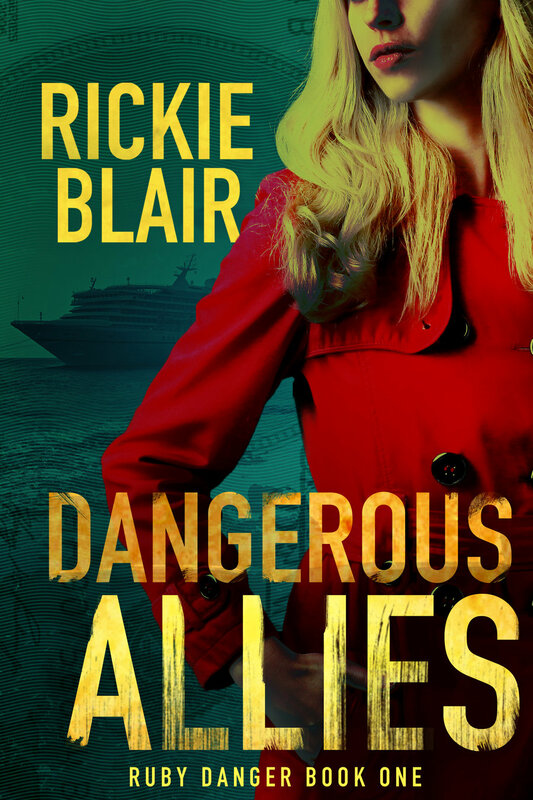 Ruby Delaney has finally landed a Broadway role and is determined to put her notorious past behind her. 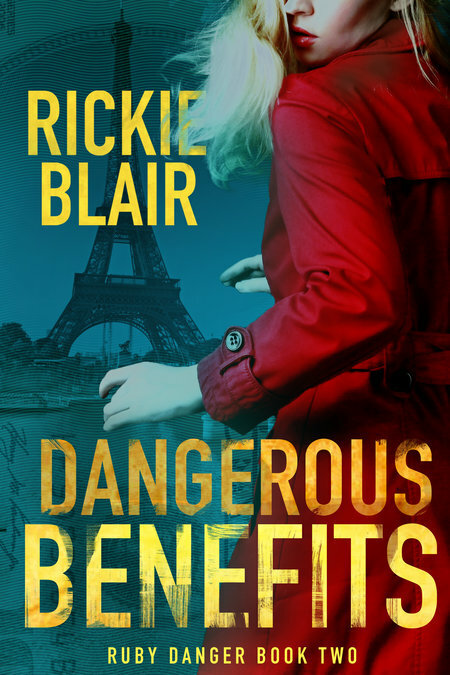 But her good intentions are sidetracked when she learns a con man has targeted her mentor’s life savings. Ruby teams up with fraud investigator Hari Bhatt to find the swindler, but their investigation leads them to a murder instead. The partners track the victim’s missing money to Paris and uncover a link to one of Wall Street’s biggest names, a man seemingly above reproach. Ruby and Hari race to prove their case, unaware they’re being watched by someone who will go to desperate lengths to hide a lethal secret. After the tragic consequences of their last case, fraud investigators Ruby Delaney and Hari Bhatt have lost the desire to expose cheats and con artists–or to risk their own hearts. 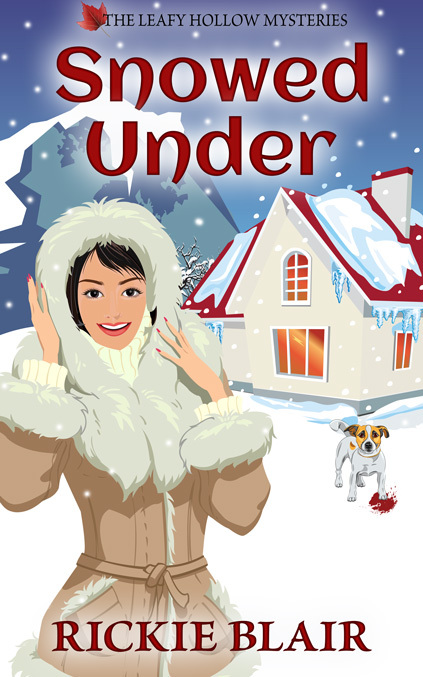 But Ruby can’t look away when she stumbles upon a mortgage scam that’s torn an elderly woman from her home. And a reluctant Hari agrees to go undercover to probe an identity theft ring at a Vegas casino-hotel. When a body is found in the home of a missing casino employee, the estranged partners must join forces to find the victim’s terrified killer. Hari and Ruby embark on a desperate race through the city’s underground tunnels, pursued by a deadly adversary who’s hunting the same man. 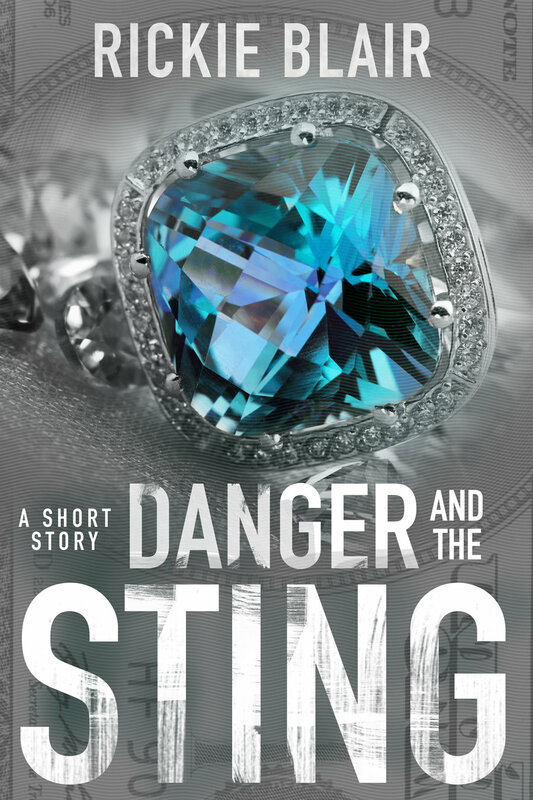 Although Danger and the Sting can be read alone, events in the story take place between Books 2 and 3 of the Ruby Danger series. 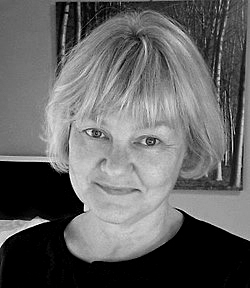 After three decades as a financial journalist, I returned to my first love—writing fiction. When not hunched over my computer talking to people who exist only in my head, I spend my time trying to tame an unruly half-acre garden and a rambunctious Jack Chi. I also share my southern Ontario home with three rescue cats and an overactive Netflix account. I write The Ruby Danger series of financial thrillers, and a cozy mystery series, The Leafy Hollow Mysteries. The Ruby books reflect my interest in fraud and how it ruins lives, while the Leafy Hollow volumes are more light-hearted.